Shri Manasa Mata Mandir or the Shri Manasa Devi Mandir is among the attractions in Sikar. Dedicated to goddess Mansa Mata, this Hindu temple spreads across an expansive 100 acres on the foothills of Hasampur Hills in the village Hasampur close to Neem-Ka-Thana and Sikar town. This is among the prominent temples dedicated to Goddess Shakthi in the northern parts of India. Thousands of devotees throng to this temple from different regions of the country, particularly during the Navaratri festival celebrated in October/November every year. This is a nine day festival and the temple and its surroundings will be milling with devotees visiting the shrine throughout the nine day period. If you are visiting this temple during this particular period, you could be better off booking your accommodation adequately in advance and obtaining a written email confirmation since nearly every available room in the nearby Sikar town is likely to be sold out. The temple also celebrates another 9 days festival known as Chaitra Navaratri or Spring Navaratra. This falls in the month of April/May. 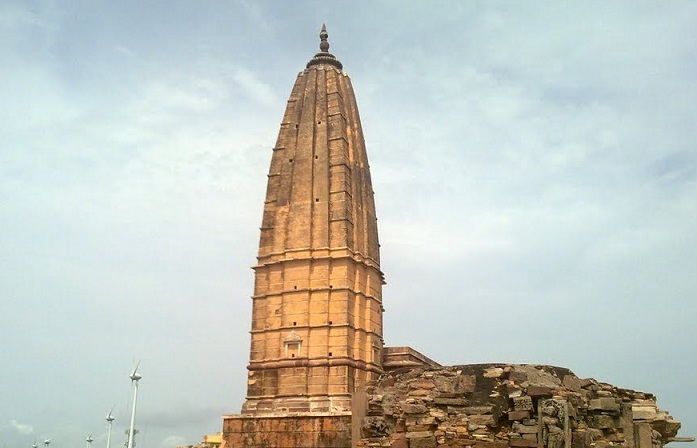 The present temple was constructed by Maharaja Mittal around 965 AD. In 1982 the Marbel idol of Durga Mata was constructed by the then Maharaja of Hasampur Seth Ramavatar Muchhal. After the abolition of the princely states, patronage for the temple from the State ended and the temple cam to be neglected. The management of the temple and the huge land forming part of the temple was left in the hands of the priest. However, things only went from bad to worse till the Government of Rajasthan decided to appoint a Board to administer the temple. The Temple Board presently makes elaborate arrangements for devotees and visitors arriving at the temple during the two Navaratras . Tented accommodation, basic medical facilities, government officials overseeing the smooth proceeding of the festival are now among the commendable improvements made to the temple. The 7th and 8th day of the Navaratra period attracts huge crowd and as a result the temple closes for just two hours in the night to facilitate cleaning and maintenance work. During other days, the temple is open between 5 am and 10 pm. The Chief Minister of the state heads the present shrine board and all the activities of the temple including its assets are now under the control of the Board constituted by the Government.